In many ways, the island of Vis is the most fascinating of all the Croatian islands. This is mainly due to the fact that the island was entirely closed to foreigners when it was part of Yugoslavia (as it was used as a naval base), only being opened to visitors in 1989. The island also has an interesting British connection – it was used as a Allied Forces base during World War II (and was the supposed hideout of Partisan/resistance leader Josip Broz Tito) with some Royal Navy and RAF soldiers being stationed there. (See this fascinating video from The Daily Telegraph on the return of some veterans to the island in 2011: Croatian island of Vis remembers World War Two role). The island is also the most westerly of the larger (inhabited) Croatian islands, being about 60km/35 miles from the mainland, although it only has a population of around 5,000 people. Primarily for the reason that the island was closed to tourism for so long, but also because of its location, it’s often considered somewhere for an “off-the-beaten-track” holiday in Croatia or a great place to go to try something a bit different – especially for a peaceful and relaxing break. Some of the most exclusive wines in Croatia are produced on the island, such as Plavac and Vugava. Highlights on the island itself include the two larger towns of Vis Town and Komiza, whilst visiting the smaller nearby island of Bisevo – famous for its its Blue Grotto (Modra Spilja) – is a must! 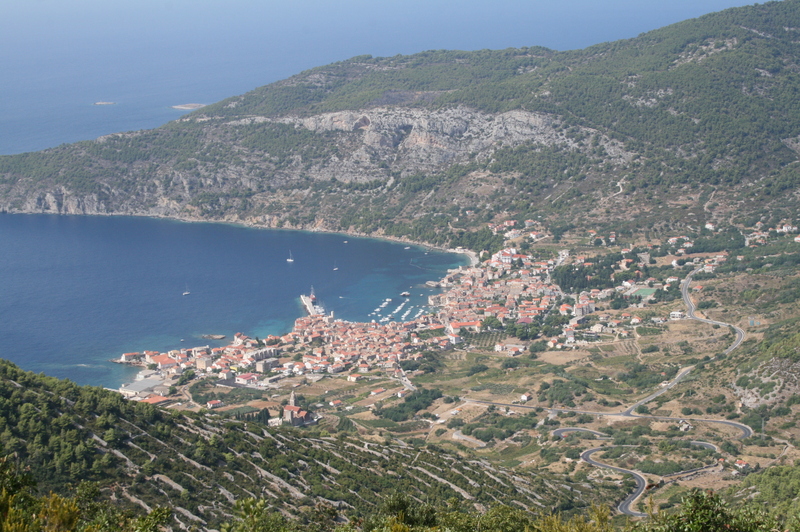 There are four hotels on the island, one in Komiza and three in Vis Town. Private accommodation is easily found, and staying in a villa on the island is also possible. See our Accommodation on Vis section. Check out Agency Ionois close to the harbourfront in Vis Town for excursions and bike, moped and car rental…plus friendly advice!